What roles can women from marginalized communities play in conflict, peacemaking and democratization? Which factors lie behind their involvement in armed conflict? What are the consequences of women’s inclusion and exclusion from peace-building activities? These are some of the questions explored in Women in Conflict and Peace. 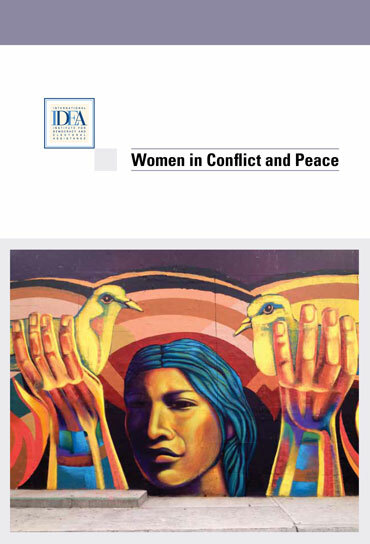 Drawing on case studies from Afghanistan, Myanmar, the Philippines and Rwanda, this publication analyses the impact of women on intrastate conflict and peacebuilding, concluding with recommendations that international and local actors can implement to enhance the participation of marginalized women in future peace- and democracy-building initiatives.